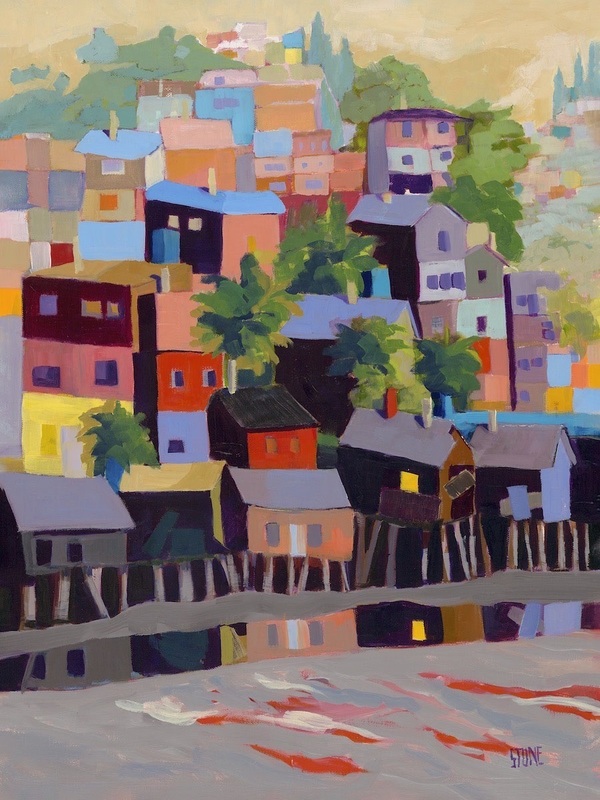 Oil painting of La Favella or the slums of Rio de Janeiro. Interpreted in riotous color following the FIFA World Soccer Tournament when some of the houses in the area were freshly painted and people attending the tournament could find very low-cost accommodations! Original two paintings were interpreted in soft pastel and had the actual gritty feeling of La Favella.